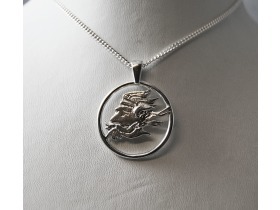 This open work pendant measures 2.5cm in diameter. 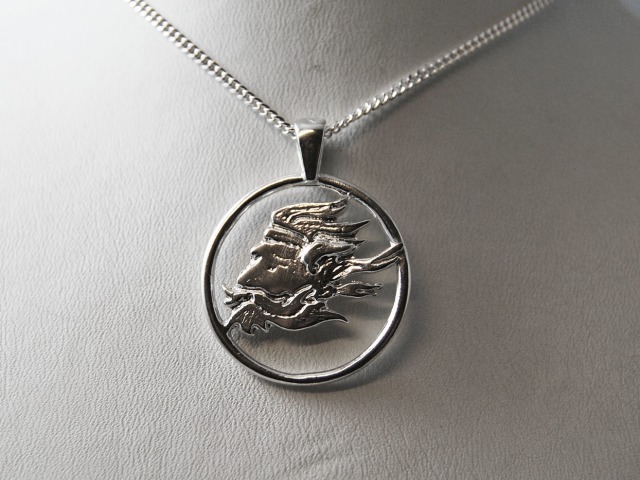 It depicts Manannan, The Celtic God of the sea. In the Isle of Man, Manannan is our protector and shrouds the Island in mist to shield us from our enemies.